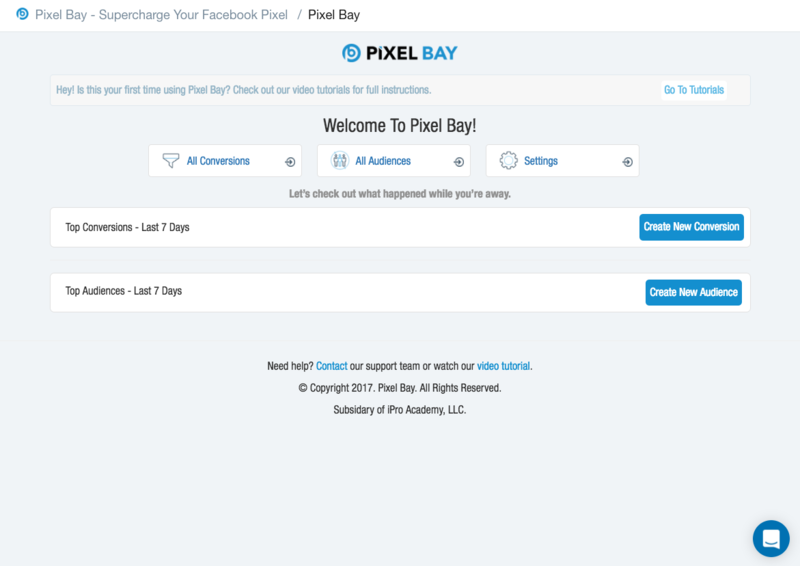 Go to the Pixel Bay App in your Shopify account. Click on the blue "Create New Audience" button. 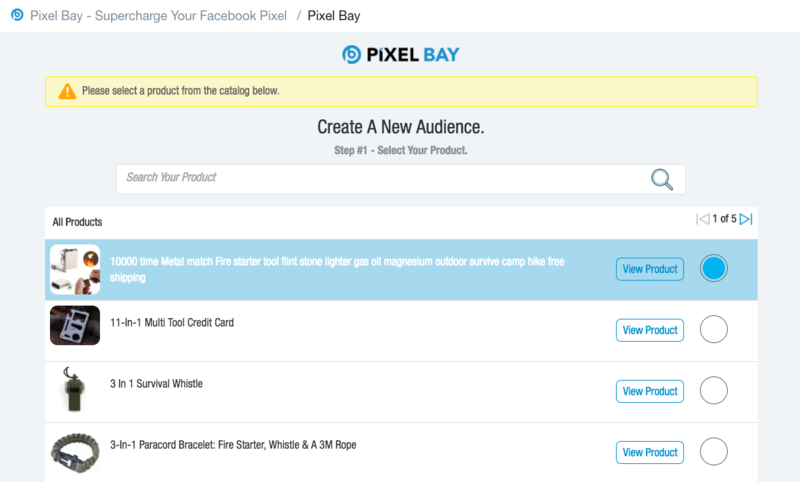 Step 1: Select the product you wish to create the custom audience for. Step 2: Select the behaviour/event that you would like to track for this custom audience. Step 3: Configure your custom audience list. Enter a name for your custom audience list - this is for your reference only. Enter in the number of days you want the audience to remain in your list before being removed. Indicate whether or not you want to include past customers in this list. Once you're done, click on the blue "Create Audience" button.